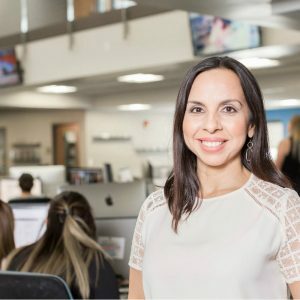 A year ago, Dania Alexandrino was filming a newscast for a Univision affiliate in Puerto Rico, and twenty-four hours later, she was overhauling the Innovation News Center’s (INC) Spanish-language department at the University of Florida College of Journalism and Communications. Today, the Puerto Rican native’s fast-paced nature matches the tone of the media industry, which is why her curriculum and management style are ambitiously preparing her students for the competitive communications industry. Alexandrino was born in Puerto Rico, but was raised from the age of seven in Boston. From there, she had early ambitions to join the Air Force and then become an international lawyer. 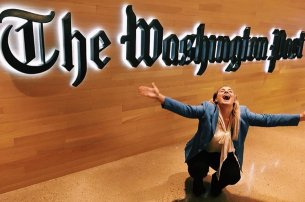 Her early disqualification from the Air Force due to asthma seemed like a hurdle for her future career, but it quickly became a building block for her passion in journalism. 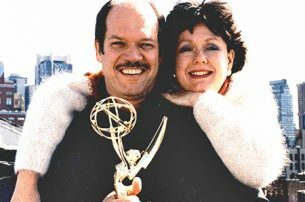 She earned a full-ride scholarship to study journalism at Boston University, and later, a master’s in public relations. Working in radio and television with companies like CNN Español and Univision followed. Flash-forward to March 2017, when she was presented with two choices: being a weather forecaster for Accuweather, or serving as the first Spanish-language News Manager for UF. Her mentor from Univision knew that she was meant to be a Gator. Read the full story on UF News.